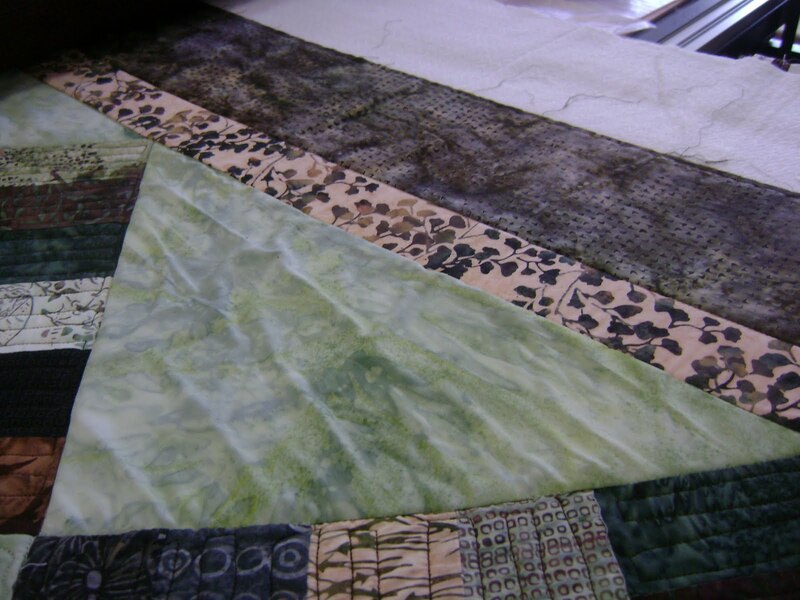 Now that the pieced squares have been quilted, it’s time to work on the next area with the most fullness. 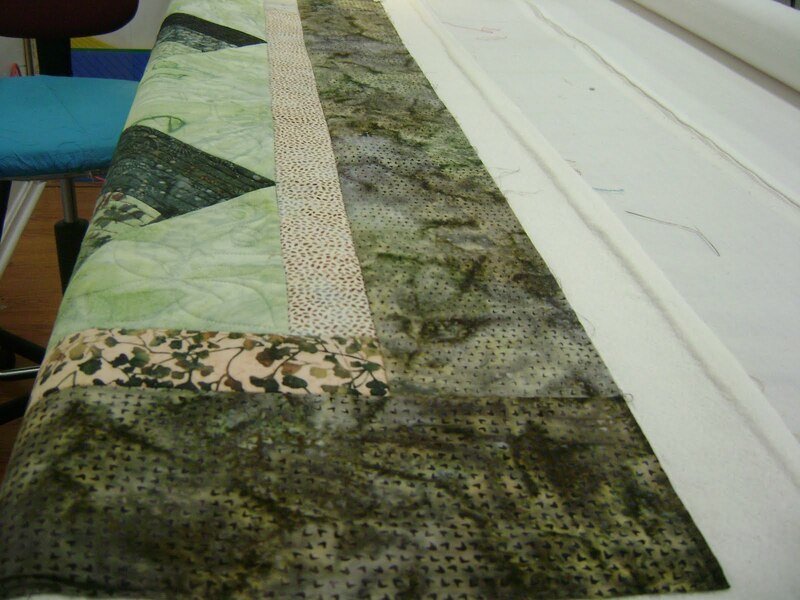 That would be to finish the solid blocks that I had previously stitched a partial design. I used a darker thread at that time to distract the eyes from any issues. I’m not going to use the same thread to finish the blocks. I want that design in dark thread to be what the eye sees so I’ll use a thread that closely matches the background to flatten the background just a bit. I also wanted a simple design for working in the extra fullness around the design. Meandering fit the need. There’s a lot of background fillers I could have used. I like the meandering for it’s flexibility of working in extra fullness. 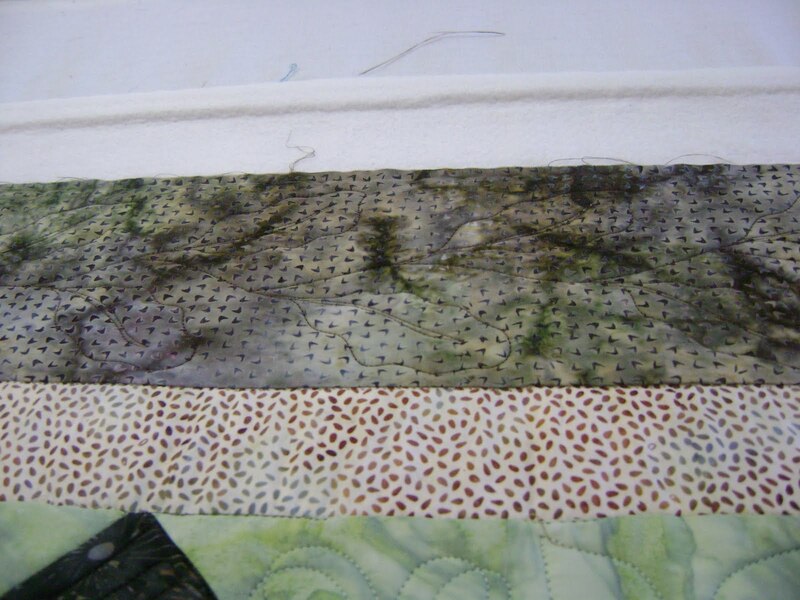 Closer meandering to draw up the fabric more where needed and looser meandering for less drawing up. All within the same block. Look closely and you will see the extra fullness is still there…. just spread out in between the stitching lines. Here’s another solid block finished. Time now to deal with the setting triangles which have gained a little fullness due to all the stitching that’s been done on the blocks. A very simple design will draw up this area just enough to make the triangles flat again. I like this design. 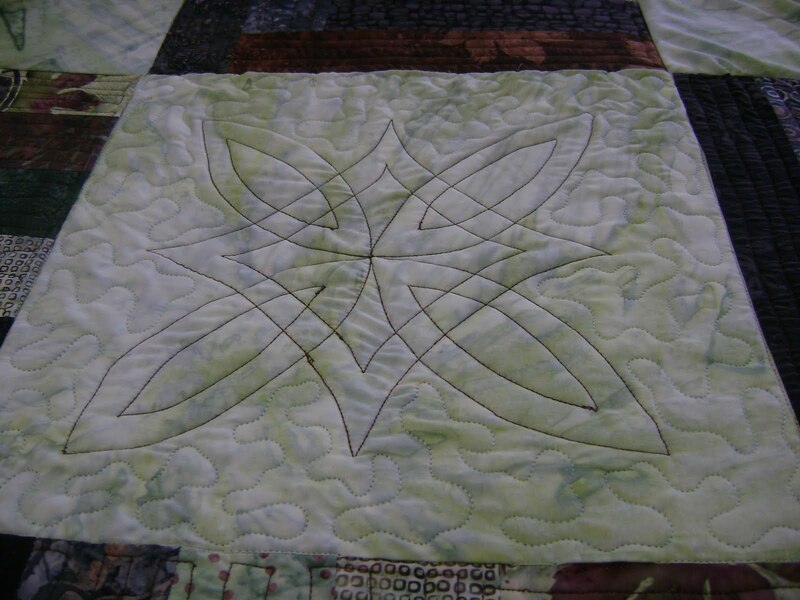 It gives quilts a little elegance even though it’s a simple design. Here it is finished. Hmm… for some reason I didn’t take a photo of the triangles until the whole quilt was finished. After rolling back and forth to finish all the setting triangles it is time to do the borders. 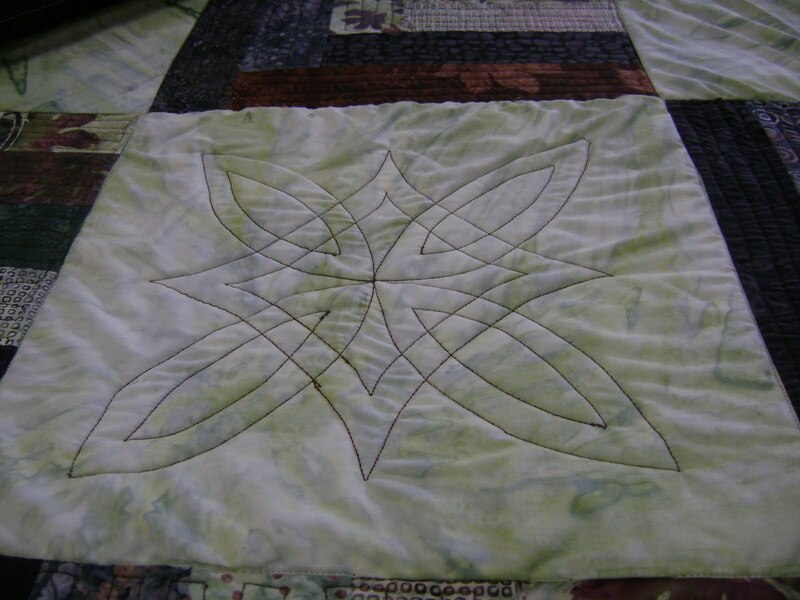 The border is the area of the quilt with the least amount of fullness so it needs a very simple design. Something that will not create fullness in the center area again. A leaf vine will work on the outside border. 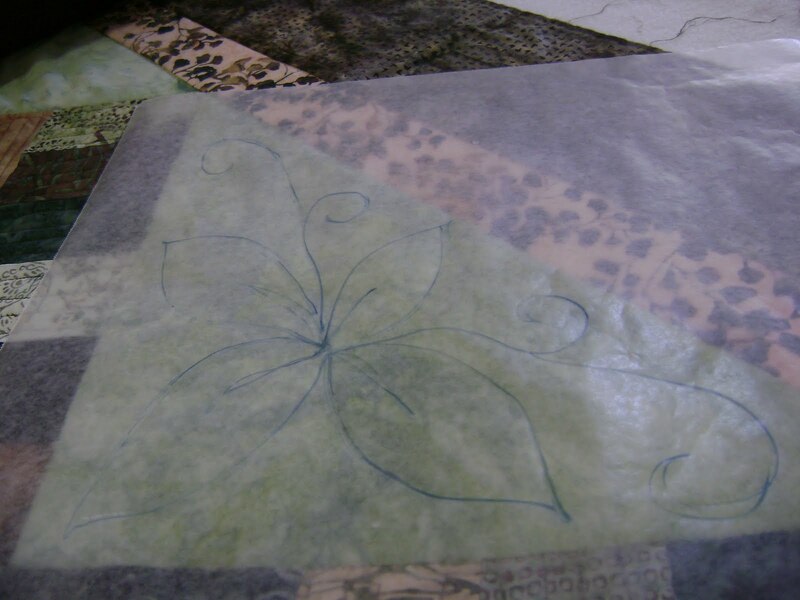 Here the leaf vine is finished. The D cup top is almost done. A simple swag design on the inside border will work. There isn’t any fullness to be quilted out. 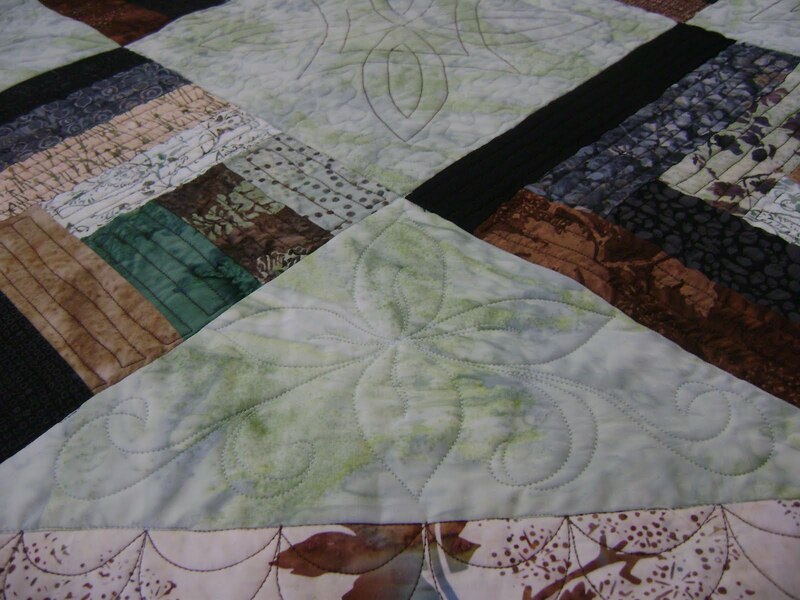 I’ll quilt the inside border and show you photos of the finished quilt tomorrow. 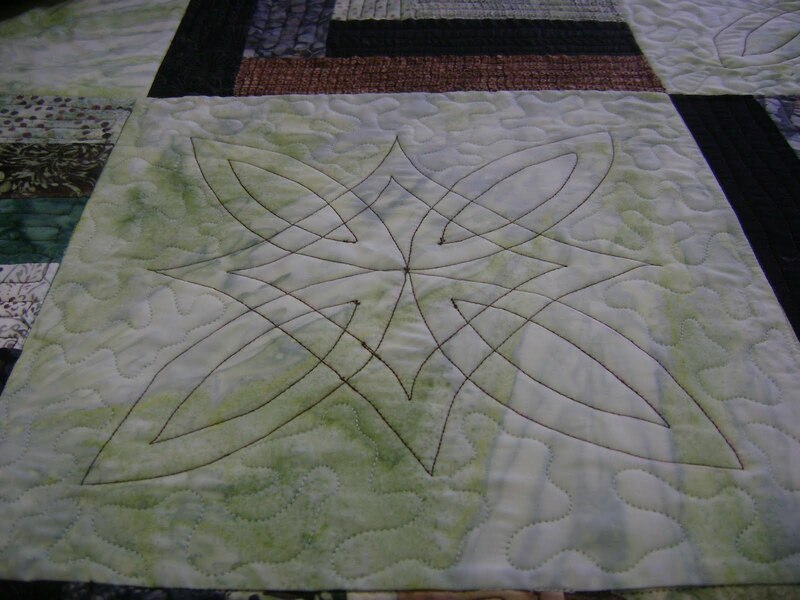 This entry was posted on June 29, 2011 by Anita in Quilts with issues.